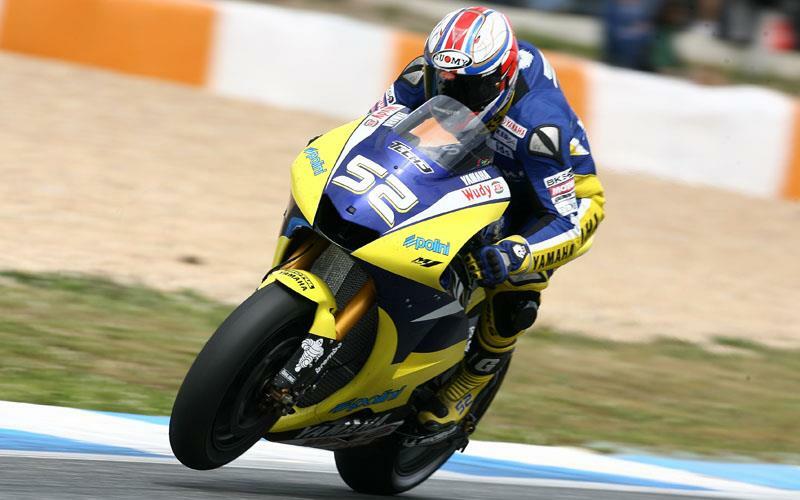 British rider James Toseland is hoping he can spring a surprise in this weekend’s Shanghai MotoGP clash to continue the brilliant start to his rookie campaign. The Tech 3 Yamaha rider is fifth in the world championship standings as he prepares to visit another track where he has no previous experience. A lack of track knowledge saw Toseland fail to score a top six finish for the first time in the last race in Estoril, but he believes improvements from a new Michelin rear tyre he tested after Portugal and Yamaha’s improved pneumatic valve motor will help him in the Far East. Toseland though admits he is in the toughest period of his rookie campaign, with Shanghai the second in a succession of races where he has no previous circuit experience. “I’m looking forward to it even though I knew this was going to be a tough period,” said the 27-year-old, who recently signed a contract extension with the Tech 3 team. “Estoril Shanghai, Le Mans, Mugello and Catalunya are all new tracks so it was always going to be tough little period to the season. But I went to Estoril and got a seventh without the best set-up so that was encouraging.